I’ve always believed in getting things done. 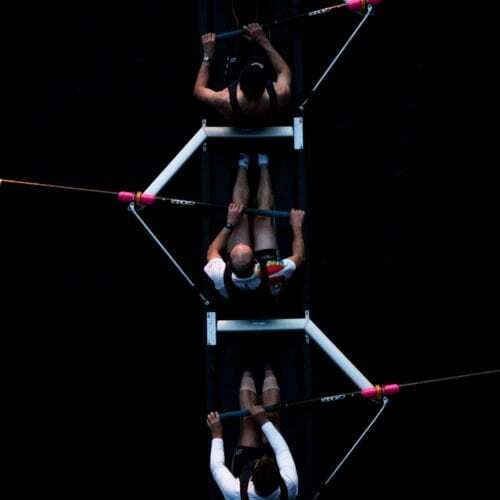 Whilst I have a natural tendency for getting the detail right, a ‘getting things done’ approach forces me to think about applying the 80/20 (or Pareto Principle). This means, when you need to get things done, you are likely to derive roughly 80% of the effects or impact from 20% of the effort you put in. 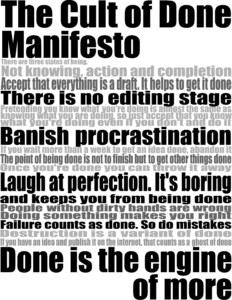 You usually find out more by doing rather than talking about getting things done anyway – do, learn and review. Don’t procrastinate! 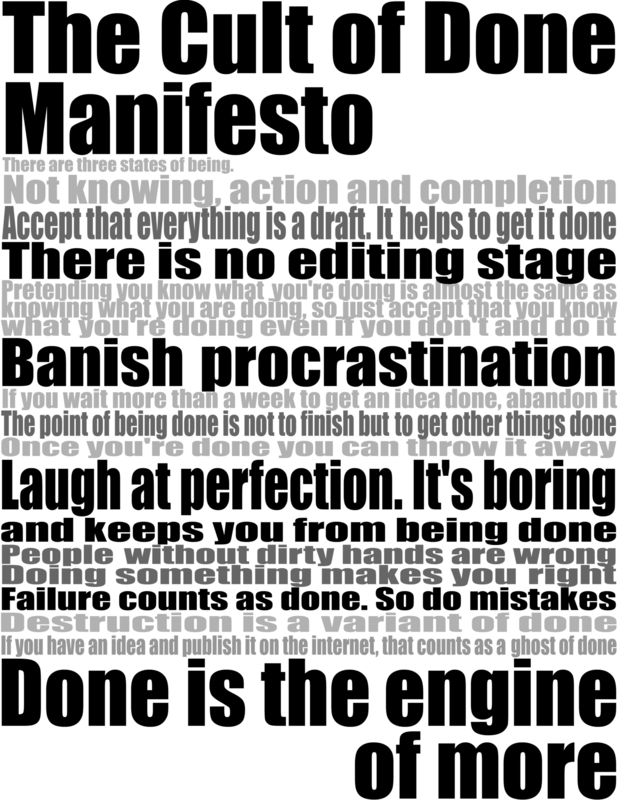 Once upon a time a generous client shared with me the Cult of Done Manifesto. I have had a picture of it on my office wall ever since and I’ve shared it with others. This is my gift to you!